Opening hours: Daily 24 hours. Decorated by WAHAH with Daniel Lim. 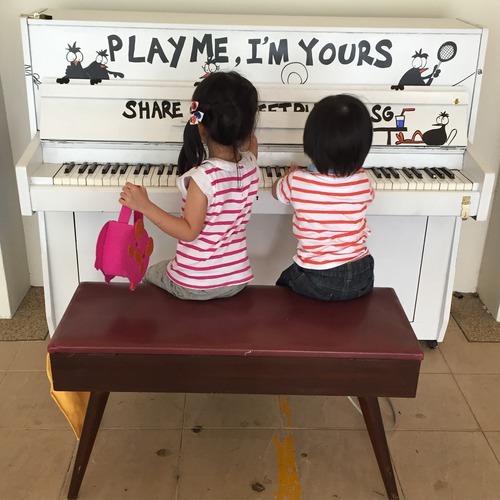 This piano was originally located at 26 Jalan Membina. New location in the Citilink Mall! 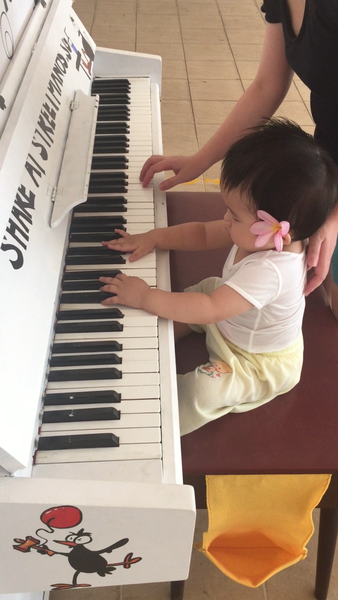 Playing with the piano while waiting to meet our friends. Bring closer a neighborhood. Love it! 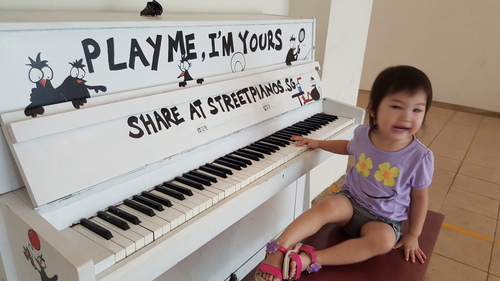 Here you piano is. Ready to enjoy ! Proud and honored to be part of this wonderful community project. 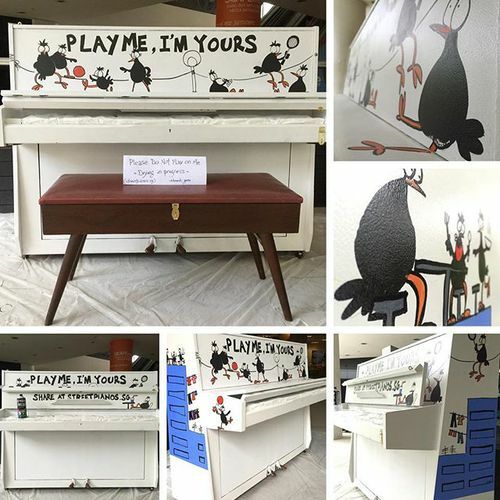 Presenting my cartoon 'Mynah Birds' piano engaging in various common Singapore activities. Come on... 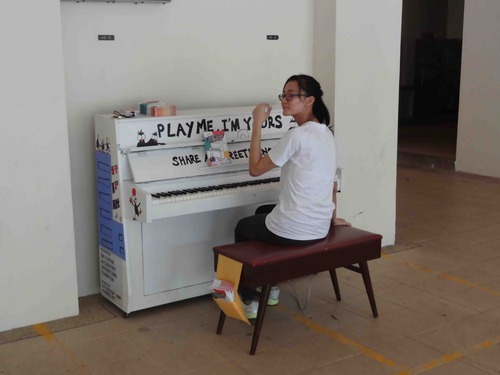 Play Me, I'm Yours. 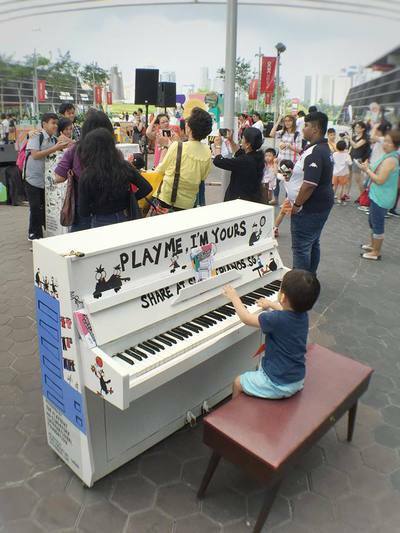 Play Me, I'm Yours | Street Pianos | Singapore. Day 4. Location: *Scape Date: 08.3.16 (Tuesday) Start: 1550hrs. Fine-tuned outlines and spray lacquer on piano to finish. 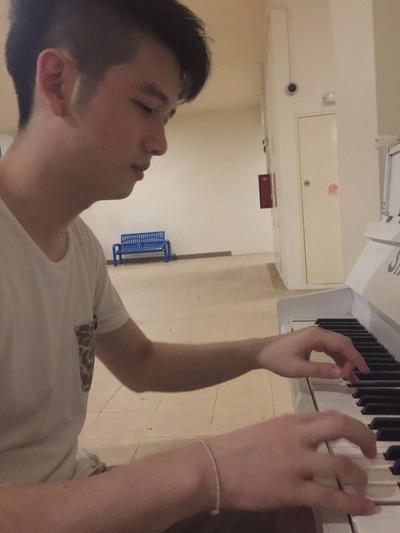 A rainy day is not good for finishing but it's my last chance to work on my piano today. Gave it about 4 coats of spray lacquer and I'm happy it's finally finished. 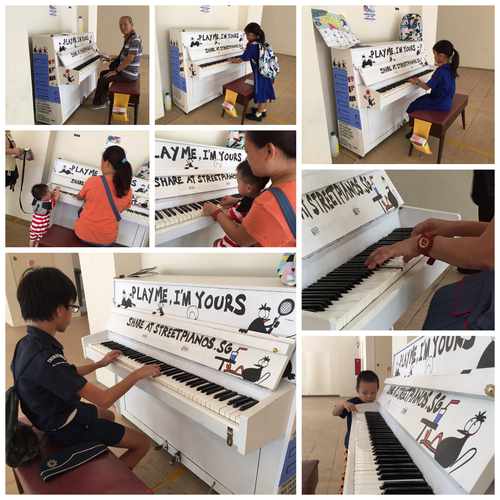 Thanks to WAHAH (my Social Welfare Organization partner) for their inputs on what they wished to be presented on the piano. I hope they like what's on the piano. End: 1730hrs. 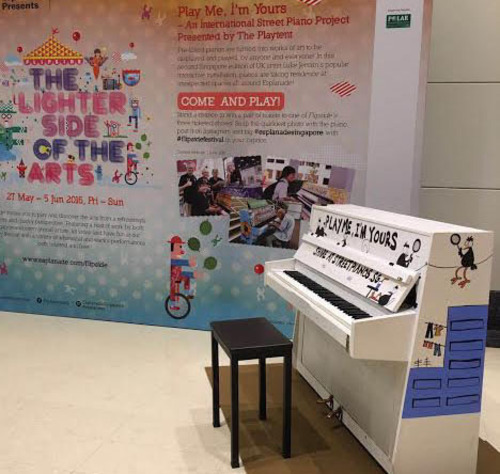 More information go to "streetpianos.sg": OFFICIAL LAUNCH EVENT PROGRAMME All 25 pianos 13 March 2016 1100 hrs - 1715hrs OCBC Square @ Singapore Sports Hub See you there!